One fine day, you login to your website only to find all your work gone. Not a word of your website is left. It’s all gone. Gone for good. Sayonara. The end. Furious, you call your web host and demand for an explanation. Except they couldn’t care less. You’ll be surprised how many web hosts are so ruthless, by the way. Thank God that SiteGround exists – I have lost count of the number of times SiteGround has saved my website when I messed something up, I am so grateful to them. They placate you with apologies and say that backing up your website is your responsibility. And they are right. It is your responsibility. You take a few minutes to compose yourself. All that content you’ve painstakingly created over the years, gone. Admit it; you probably assumed that it wouldn’t happen to you. “You won’t be so unlucky,” a small voice inside your head says. You hope that robbers don’t steal stuff from your house at night, but you still install window grills right? If you aren’t backing up your WordPress website today, you need to fix this ASAP. Today’s short & concise post will help you with that. Your “first line” of security is to rely on your web host. You shouldn’t rely on your web host completely, but it wouldn’t hurt to have an extra copy of your site with them somewhere. Contact support and make sure that someone is backing up your website if possible. For example, I use Siteground and they do automatic backups for me. Sweet! I’m not saying this just because I’m an affiliate, but it will save you a ton of trouble to have a host that actually cares about your business, seriously. 2. Do your own backups, yo. Some hosts aren’t so nice. Good friends turn sour, and even the best hosts make mistakes. 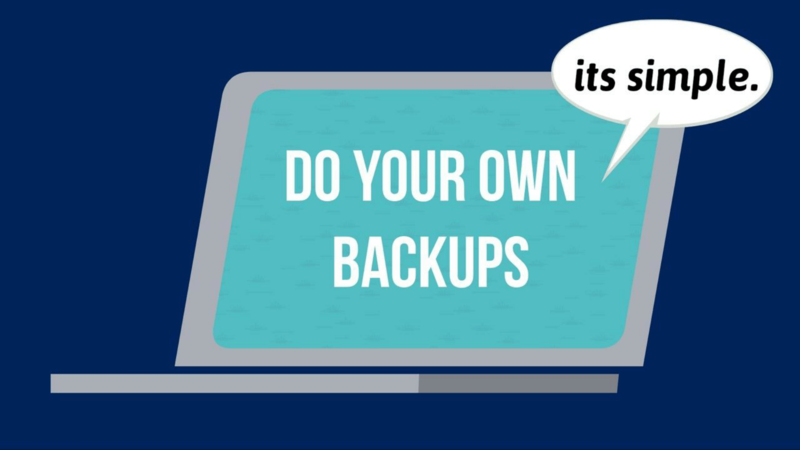 Even if your web hosts does backups, make sure that you back up your own stuff. Have your own copy of your website! A blogging plugin that I like is Updraft Plus. It’s free by the way. They have a paid plan as well if you’re interested in extra features. It works with Dropbox, Amazon S3, Google Drive, Microsoft Onedrive and more. I sync it with my Dropbox and once in awhile, I back it up manually. It takes a few clicks and works really well. If I screw up something on my website, it takes just one click for me to restore my backup. If you need a tutorial, here’s one by Updraft Plus that you’ll find helpful. There are other alternatives like Duplicator, which you can use to clone your website. 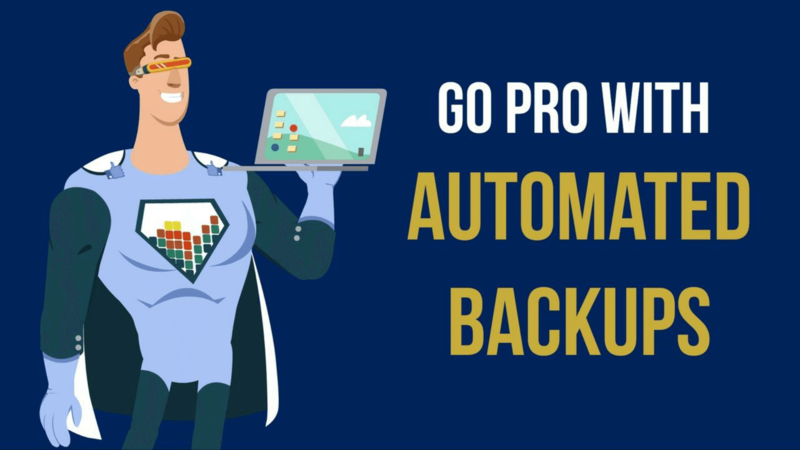 If you’re going super pro (like, real pro) and don’t want to worry about your WordPress backup ever, check out these 2 options. For instance, if you want an automated solution – these options would be real useful. They automatically backup your website so that you don’t ever have to worry. These are paid solutions, but worth every penny for something so important. Backup Buddy: Power-packed with a ton of features. 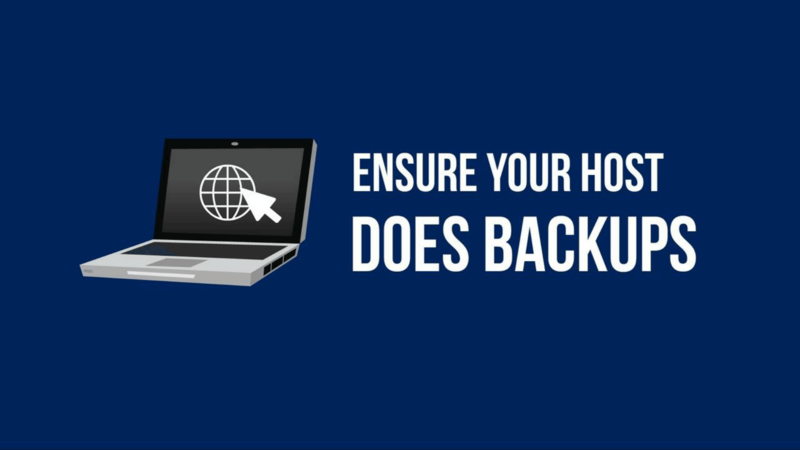 Back up your entire site, schedule your backups, store your backups off-site, and restore your website quickly. Codeguard: Automatically monitors your site daily for changes. You can then restore your website from any point. You can download a zip of the contents at any time, choose an automatic restore, or restore individual files and folders. I’m keeping this tutorial short and sweet because I don’t want to complicate things. I know that many of you are not backing up your sites because you think that it’s extremely complex and techy. That is not the case if you follow as I say here. Go forth, and backup your website! A tiny request: If you liked this post, please share this? I built this blog piece by piece, one small share at a time, and will continue to do so. So thank you so much for your support, my reader. A share from you would seriously help a lot with the growth of this blog. You're awesome for staying till the end. Signup for my newsletter below. I send email updates about new posts, and tips and tricks to build & monetize your online business. - My FREE 7 Day Turbo Your Traffic + Email List Starter Course that has doubled the audience of many of my subscribers. You're making a great choice for your future. « Tired Of Working For Someone Else? Here’s What To Do. Thanks for writing this post. It’s crucial for a blogger to take a copy of their website. I recently had my site down. I did’t mind because I thought UpDraft Plus could bring everything back. Guess what? It couldn’t get my posts. Only some of the plugins and images. I checked UpDraft Plus’s backups on my Dropbox and I şearned it didn’t work like it’s supposed to do. It only took two backups like a month ago and they didn’t work. So i started over. Now I use BackupGuard and do manually take a copy of my site. Thanks for sharing, Serhat! Hmm, something must have gone wrong there. Have you contacting Updraft Plus? I’ll check out BackupGuard and may add it to this post! I had the same experience with UpDraft Plus’s backups. Can you please show us how to make a full website backup using the cPanel Backup option. If anything went sideways, I want to restore the full site using that backup. Hope you’ll help us ASAP. Thanks for sharing this essential guide with us.